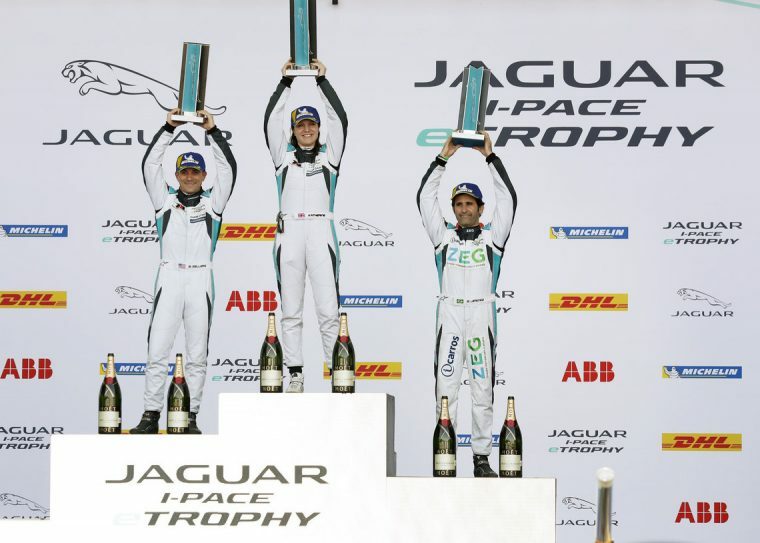 Last week, the Jaguar I-PACE eTROPHY series touched down in Mexico City for the second round, out of ten, of a world first championship. The season opener took place in Saudi Arabia back in December, but due to extreme weather conditions, the teams were prevented to have a Quali session with the field being set by practice times. 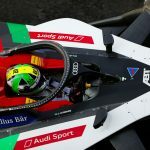 Mexico City E-Prix became the very first weekend where the teams had the opportunity to experience the full electric series format, from free practices on Friday to qualifying and race on Saturday. Simon Evans won the inaugural race in Saudi Arabia for Team Asia New Zealand, followed by Brazilian driver Sergio Jimenez for Jaguar Brazil Racing team and American driver Bryan Sellers in third for Rahal Letterman Lanigan Racing. 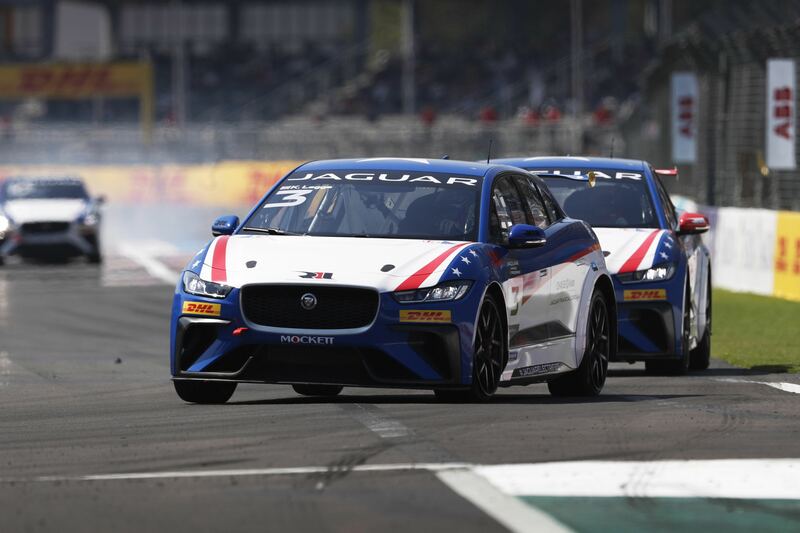 The Autodromo Hermano Rodriguez welcomed the 12 Jaguar I-PACE eTROPHY cars and its drivers with a circuit packed with fans longing to see the electric cars racing. The track layout expanded on 2.093km, in a 17-turn road course, famous for the Foro Sol Stadium. The 25-minute + 1 lap race saw both Rahal Letterman Lanigan Racing cars on the first row with Katherine Legge starting from pole position and Bryan Sellers right next to her, and Simon Evans setting in the third place of the grid. Early on some cars got involved in incidents, with the guest driver, Mexican driver Salvador Durán making contact with Brazilian driver Cacá Bueno twice. The race for Duran was over, with Bueno managing to get back on track and grab some points as he finished in the fourth position overall while Duran was called to talk to the stewards. Other incidents saw the colored yellow back of the TWR Techeetah got badly damaged after being hit from behind, with seven minutes remaining, TWR driver Stefan Rzadzinski had to pull the car off the track and retire. Legge drove to her maiden victory as she led from beginning to end, followed closely by her team mate Bryan Sellers. The Brit made history by becoming the first woman to ever win an electrical race, the 1-2 finish was also a first for the first team (RLL) to join the first series for battery electric production-based cars. “I am just really proud of the guys for doing an awesome job and helping us finish 1-2. It was really cool to have Bobby here with us for this,” said Legge. “He had faith in us and is the reason we are here. It was an interesting race because very early on we saw the rest of the field get involved in some sort of happening and got held up and it was just Bryan and I. “He and I have raced together a lot in these last 18 months and I knew he would be tough but fair. Bobby said ‘Don’t hit each other’ so that was our goal. The podium here was really cool. The fans are very enthusiastic and it’s just a great atmosphere here”. We had the chance to chat with her fellow teammate Bryan Sellers. This is our exclusive Q&A with the experienced American driver. ERN: As the reigning IMSA WeatherTech SportsCar Championship GTD champion, what motivated you to join the Rahal Letterman Lanigan Racing team in the brand new electric series, Jaguar I-PACE eTROPHY? BS: “This was a very unique and special opportunity for me. I grew up in Ohio as an Ohio driver. My grandpa’s favorite driver was Bobby Rahal, and as such he was one of my racing heroes. When he first approached me about driving, I said yes before I even knew what the program would be. ERN: The series’ debut in Saudi Arabia took place under heavy rain, the temperature in Mexico on Saturday easily reached 100 Fahrenheit degrees on track. How different the car behaves under such opposite circumstances? ERN: What would you point as the main challenges of driving an I-PACE car? BS: “The most difficult part is that the driving style is completely the opposite of modern era GT3 cars. In a GT3 car, you drive almost as hard as you can. Pushing as hard as you can every lap. With the I-PACE it’s a fine balance between aggression and patience. If you push too hard you lose a significant amount of lap time. ERN: Did you have to change your driving style? If so, in which ways? ERN: You´ve never raced in Mexico before today, how did it feel to race in a new track, with a more “usual” race format? Back in Saudi Arabia, there was no Quali session due to the adverse weather conditions. ERN: We saw some contact behind you with a couple of cars leaving the race sooner than expected, but both RLL cars managed to avoid any contact. ERN: What were the main challenges that the Autodromo Hermanos Rodriguez presented today for you during the race? Most drivers agree the circuit in Mexico is a track where overtaking is very difficult. ERN: You were very close to Katherine, your co-driver and winner of the race. What was missing in order to try to take the lead? ERN: Today RLL got its first 1-2 podium in the main support series to the ABB FIA Formula E Championship. How did it feel to accomplish such a fantastic result and having the presence of Bobby Rahal in the garage? ERN: Katherine was the first woman who joined the Jaguar I-PACE eTROPHY series and has experience in driving electric cars, but this is your first experience with an electric car. Do you believe the future of motorsport is electric? ERN: Your next race is the 12 hs of Sebring on 15 March, how are you preparing for one of the most important races in America? After the Mexico City E-Prix, Katherine Legge is the new championship leader with a total of 27 points. She’s followed by Simon Evans, Sérgio Jimenez, and Bryan Sellers, all with 26 points. 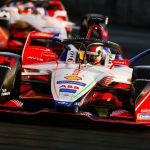 The third round of the series will take place in Hong Kong along with the ABB Formula E Championship in a little more than two weeks time.